Le Mercury | Abandon Spoon! I went to Le Mercury last week with fellow food lover Diane Elston. We walked along Upper Street trying to decide what to have for lunch. There is so much choice, but we passed Le Mercury and just couldn’t resist. We had been here together before and absolutely loved it, and we knew exactly what we wanted off the menu before we had even sat down. 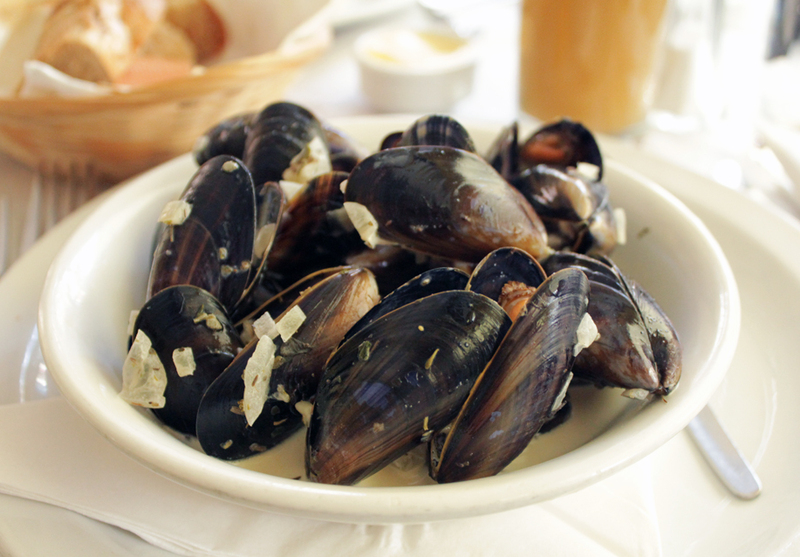 Two of my favourite foods in this whole world are mussels, and duck- both of which they serve here and taste delicious. Me and Diane often find that we like to order the same food- and we can’t share dishes, we both suffer from food jealousy, so on the whole order exactly the same dinner. 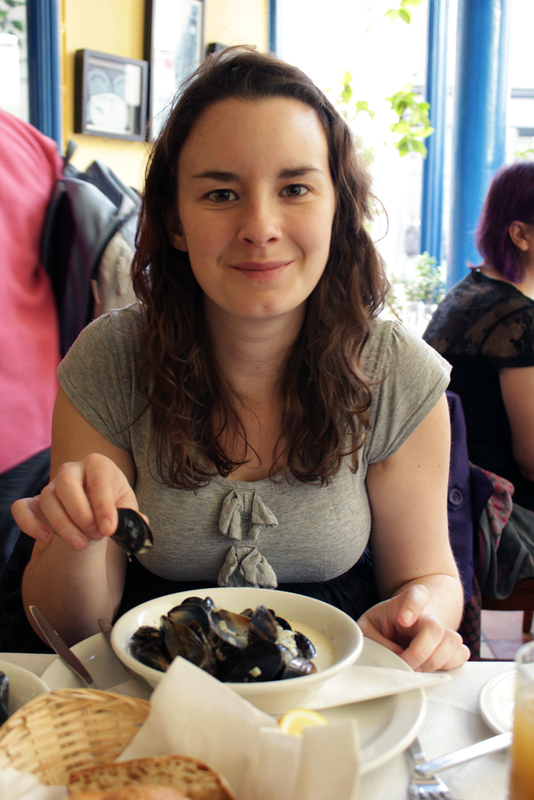 So to start we had Moules Mariniere- mussels in white wine sauce, cream, shallots, garlic, lemon and parsley. Tasted amazing. 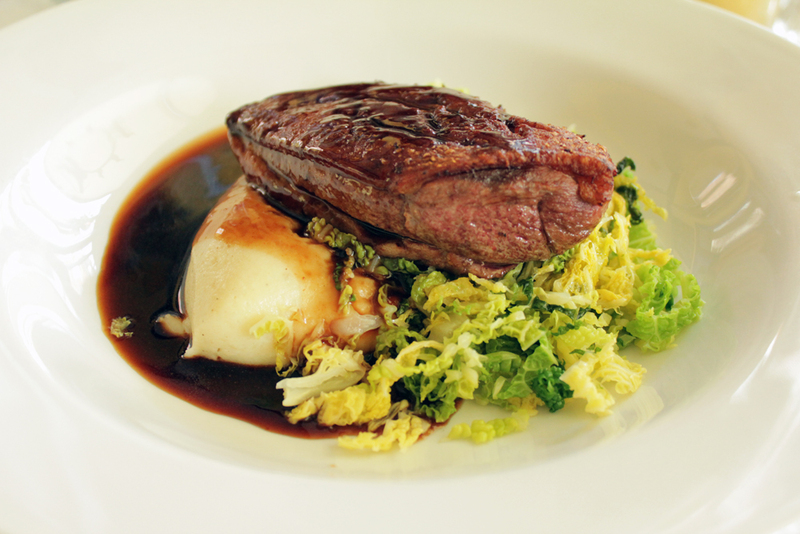 For main we had Magret de Canard- roasted breast of Barbary duck on garlic mash, savoy cabbage & red wine jus, everything about this dish was good. There are no words, you have to try it for yourself. We were both bursting by the time we had finished and couldn’t sample any of the deserts although we were rather tempted, we opted for a cup of tea while watching the world go by. One of the best things about this place is the price. All starters apart from the specials are £3.95, and all the mains are £7.95- which makes it incredibly affordable. We were able to pay £15 each for a 2 course meal with drinks and tip- and it was high quality. It’s not like a posh restaurant you don’t feel uncomfortable using your fingers to eat the mussels, and they do put a lot of table in- but not so much so that it compromises the whole experience.